Today I have teamed up with Pineapple Lace to show you how to transition your favorite cozy weekend outfits into the work week or for some of you, school week. Pineapple Lace has amazing, affordable, cozy pieces for Fall. 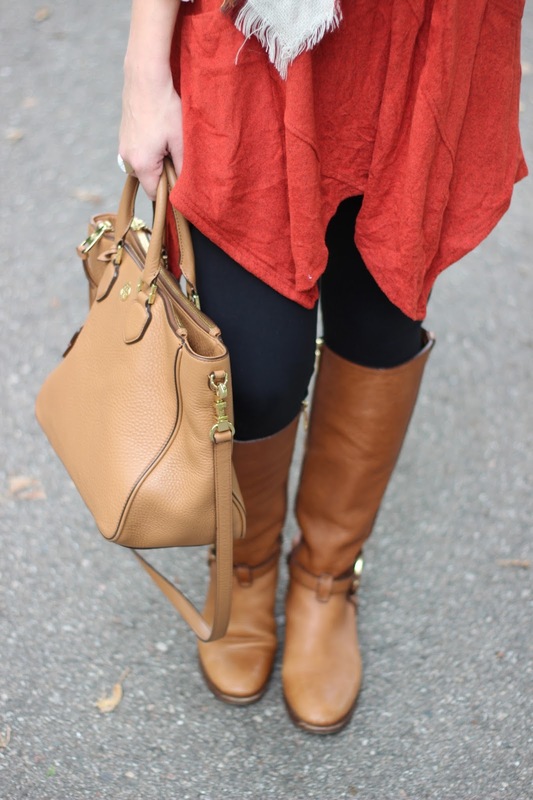 I picked out this Rust Colored Tunic that has eyelet lace detailing on the sleeves as well as cute pockets. It really is a piece that can be dressed up or just to throw on for a casual day of running errand or lounging around the house. I love the length of the tunic so I am able to wear my favorite leggings with them. 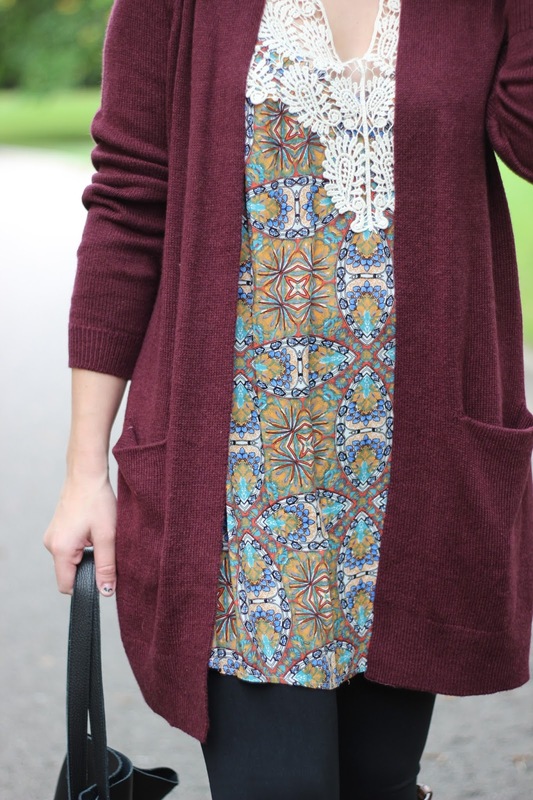 For the second look I took this Boho Tunic and added a cozy cardi. The tunic actually has the prettiest lace detailing which is perfect to wear in an office setting. 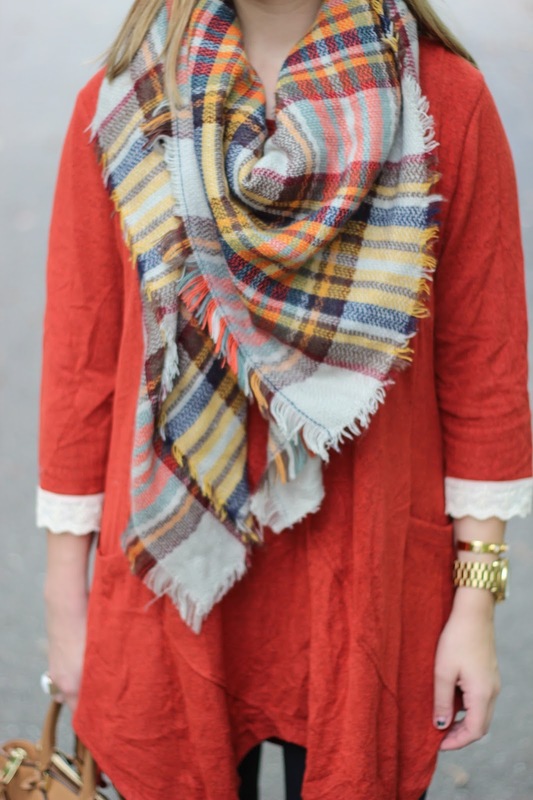 The colors scream Fall and this piece will be on repeat all through the season. Again, this is the perfect piece from day to night just by changing accessories and shoes. I ordered a medium but a small would work if you weren't concerned about the length. I also wanted to mention the quality of the pieces are really great, I know they will last though the season, so I am pretty happy about that! Be sure to check out Pineapple Lace for the cutest pieces at affordable prices, they have something for everyone! *Thank you to Pineapple Lace for sponsoring this post . All opinions are my own. 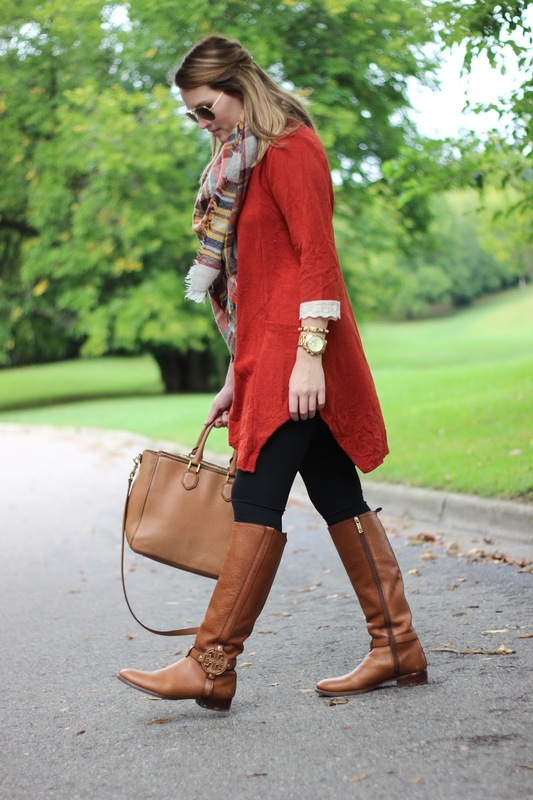 Fall perfection! Love these colors! 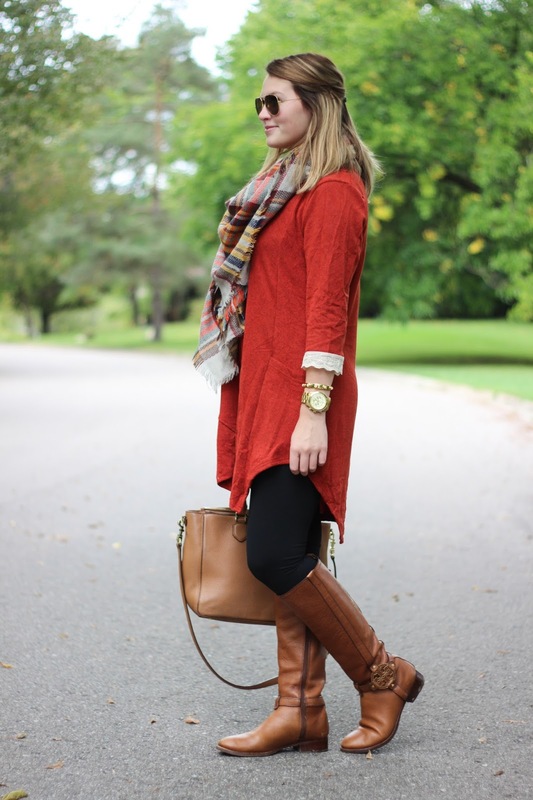 Gorgeous fall looks, love the way you've styled these pieces! Love this collab! How gorgeous are both of these looks!? Love! Both of these looks are so cute! I really love your long burgundy cardigan! 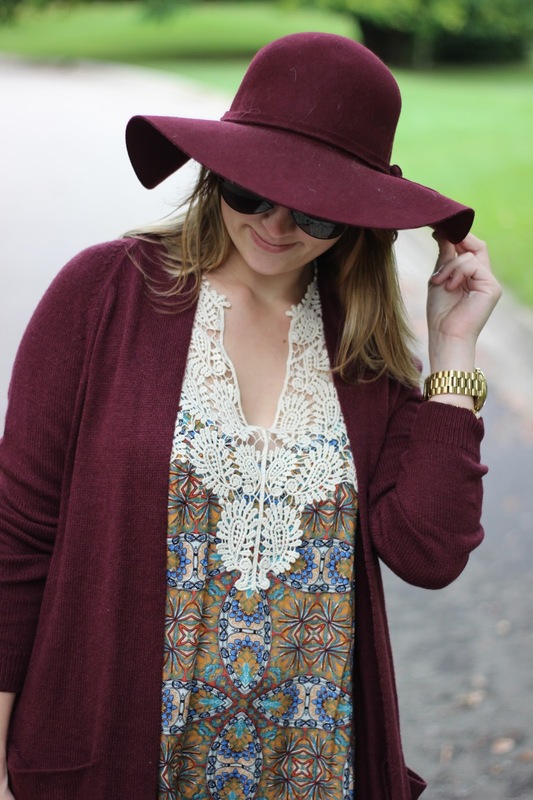 I am in love with that burgundy cardigan/hat outfit! 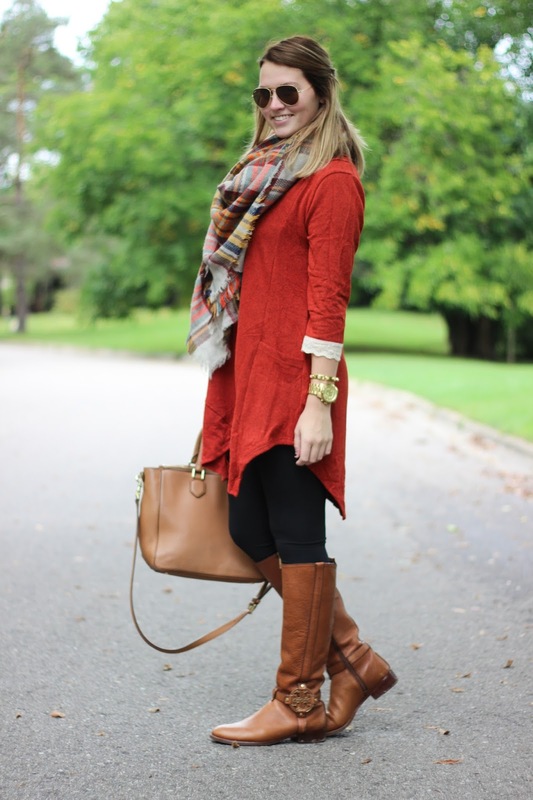 Perfect for fall and looks so chic with simple leggings! I love that maroon cardigan!! I love these looks, especially that maroon cardigan sweater! That burgundy hat and sweater is so cute!